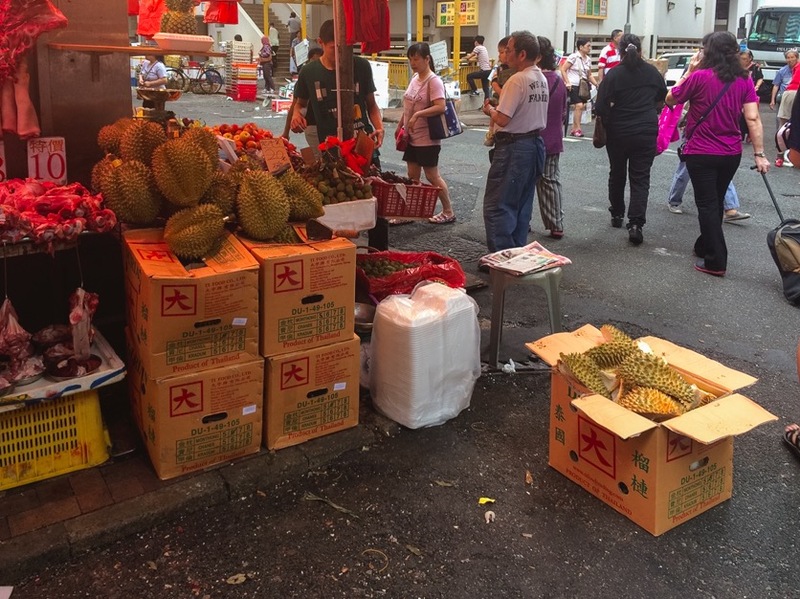 It’s that time of the year again… the markets are full with the king of the fruit: Durian. You either love or hate it. 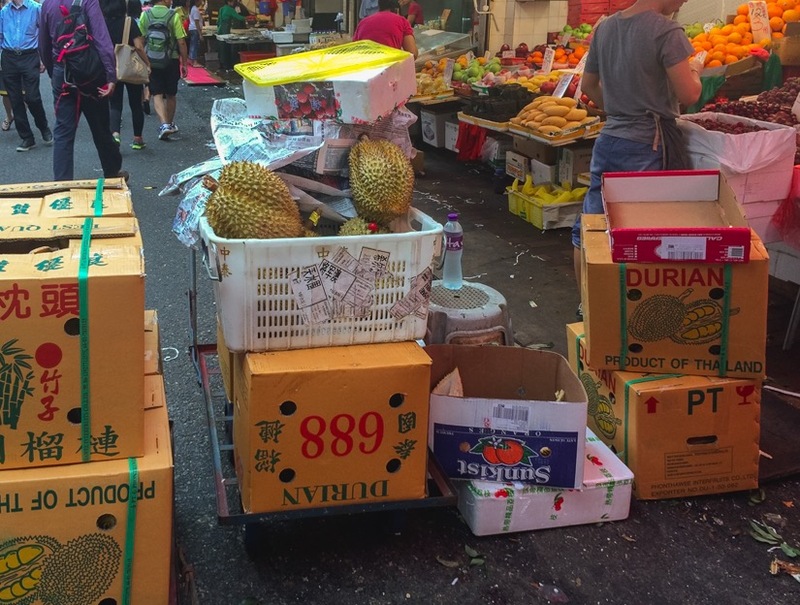 Walking through the narrow roads of the Bowrington Road Market in Wan Chai, there were boxes next to boxes of Durian fruit. 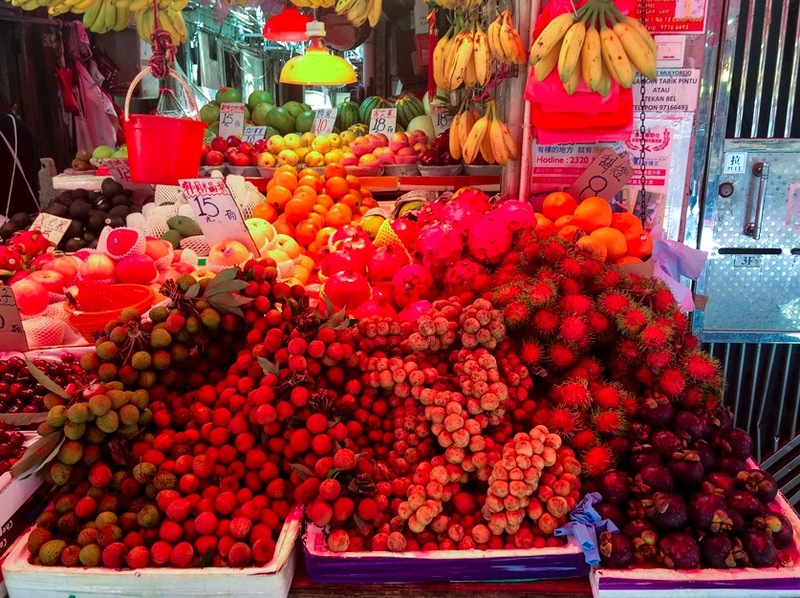 And my pictures are misleading, there were lots of people looking for the freshest fruit and the best prices! But don’t get confused – this similar looking fruit is a Jackfruit and therefore completely different. 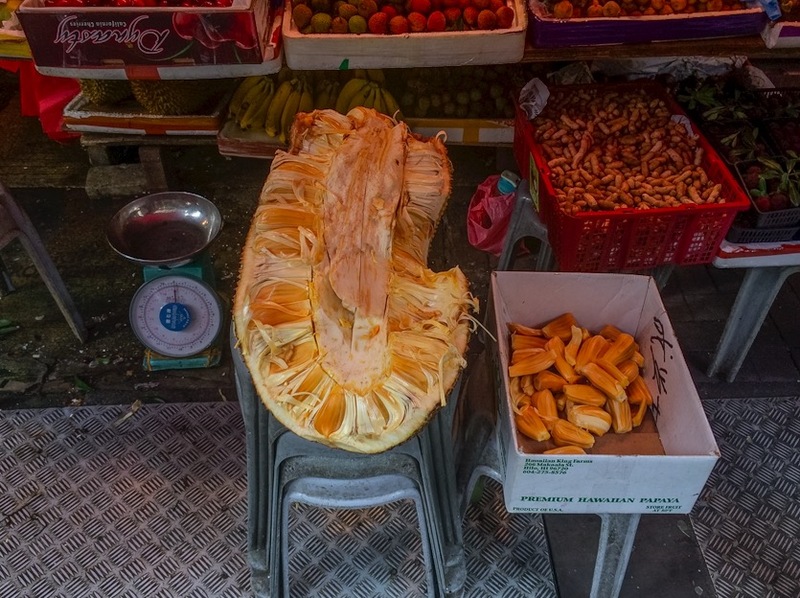 A jackfruit can be huge, it is the largest edible tree-grown fruit in the world. 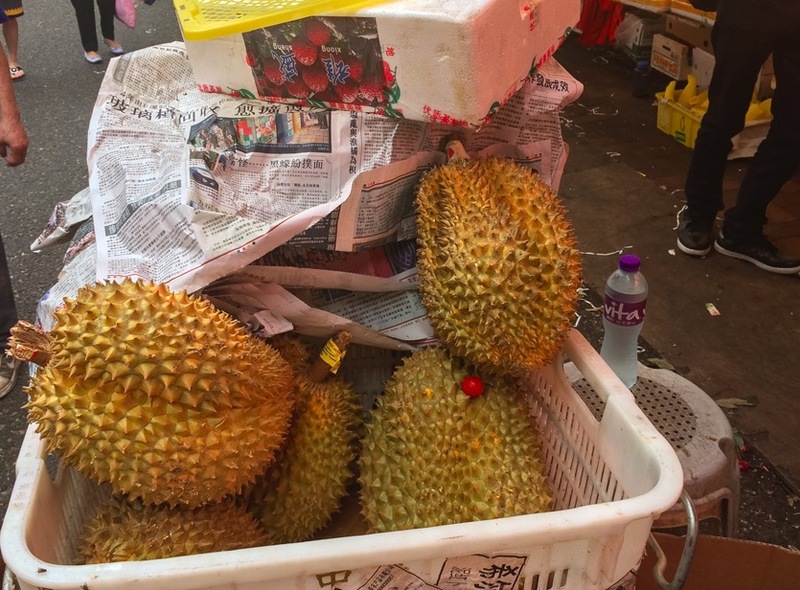 Its smell might also be described as slightly unpleasant (musty and sweet at the same time) for some, but it is nothing compared to the durian. It is quite complex to cut a jackfruit, as the fruit is huge and there is lots of sticky latex (especially with immature fruits). That’s why vendors set up areas to cut jackfruits (and also durians) into smaller pieces. For jackfruits, you need to cut the fruit into sections, remove the skin from each section and remove the centre core. That’s the actual fruit, which includes fibrous material called the rags, actual flesh and a seed. 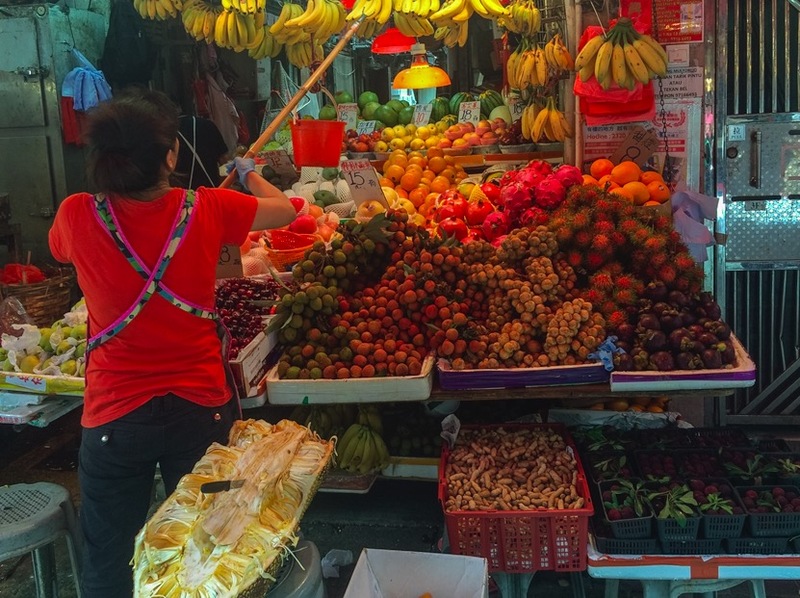 Finally, plenty of other fruits to choose from – longan, lychees, mangosteen and also langsat are all in season. They look very tasty, but unfortunately the red from the canopy shined onto the fruits and the colours are all wrong!